When we are balanced in this energy center, we feel light, flowing with life, full of gratitude, joy, compassion and love. We live in the present moment. When this energy center is unbalanced, we feel like we are being weighed down (air feels heavy and dense) and focus more on negativity and jealousy. We tend to have poor boundaries and feel separate and lonely. We may also be trying to please everyone, have a fear of intimacy and feel withdrawn. The associated sense is the sense of touch and the seed sound is Yam. The main purpose of this chakra is to cultivate love. The best way to do this is by first recognizing if you need to forgive yourself or others for any wrong doing. This doesn't mean you forget what happened. But being able to forgive yourself and/or others will free your mind. If you are unable to forgive, the emotions of anger, resentment, hatred will live within you. We heal ourselves and free ourselves most quickly through the power of forgiveness. If it's hard for you to even consider forgiveness, it may help to start writing down in a journal all the thoughts you have around the situation, event and/or person that you are having a hard time forgiving. Simple, yes. Easy, no. But it's worth it. Gratitude Journal - Jot down 1-3 things that you are grateful for at the beginning of your day. Ask this Question - When you have a hard decision, ask yourself, What would Love do in this situation? Wear the Color Green - Either in clothing or jewelry or put a crystal in your pocket like green jasper, aventurine or rose quartz (pink is another color associated with this chakra and rose quartz is a stone of love and compassion). Use Essential Oils (follow directions and guidelines for use) - Use oils like rose, bergamot, jasmine or cinnamon and you can find blends already made for the chakras like here at Plant Therapy. Write a Love Letter to yourself - try FutureMe.org or express the gratitude and love you have for yourself in a journal. 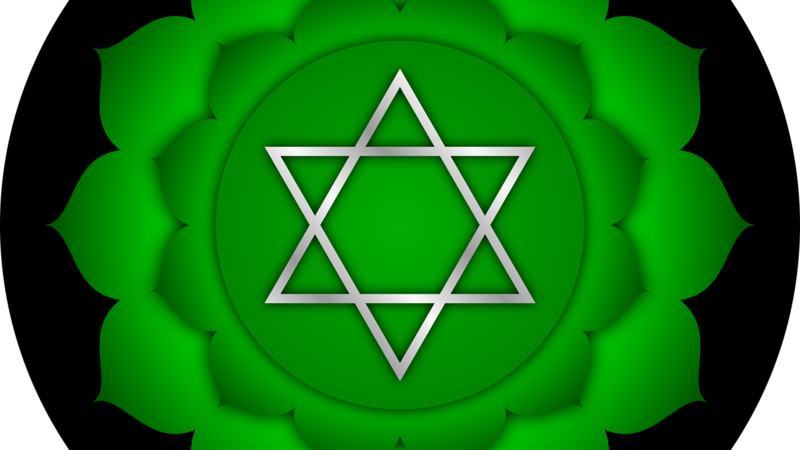 Meditation - Meditate on the energy of your heart chakra in the sacred space you created and/or visualize an emerald green lotus flower at your heart center. Reconnect - Reconnect with a friend or family member who's been on your mind. Yoga - Of course yoga! You can ignite the air element in your practice by becoming keenly aware of your breath as you move from pose to pose. We start at the earth feeling grounded and stable (think Tadasana, Mountain Pose) to flowing like water (think flowing Sun Salutations) to igniting the fire within (think core poses like Navasana, Boat Pose or Salambhasana, Locust Pose) to now entering the sacred realm of the heart through heart openers (think Bhujangasana, cobra pose or Ustrasana, camel pose). Pranayama - Since the element of this chakra is air, breath work is a great tool to help become aware of this energy center. Chant or say the seed sound (silently or out loud) of this chakra which is Yam. As you begin to become more aware of the fourth chakra and begin to release feelings of isolation, jealousy and resentment, you will cultivate compassionate and loving energy. You have the ability to give and receive unconditional love. Acknowledge that you are accepting of yourself and others and that you are at peace knowing that you can make the right decisions for yourself without needing the approval of others. Feel your heart center expanding out into the universe, expressing love for yourself and for all of life. I am unconditional love and compassion. Ps. Don't expect overnight success when it comes to balancing the chakras. 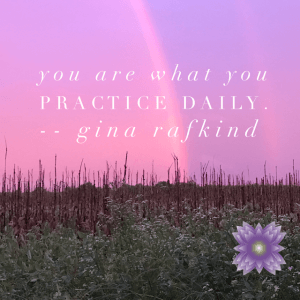 It takes practice, daily practice. Taking time out every. single. day. and a deep commitment to yourself. So be kind and compassionate toward yourself if you decide take the journey through the chakras. Allow life to guide you.